Our mares. Again, ask to breed in the main office but if you want to breed to one of the Thoroughrbeds, ask in the office at theThoroughbred Breeding Center. You must be registered! 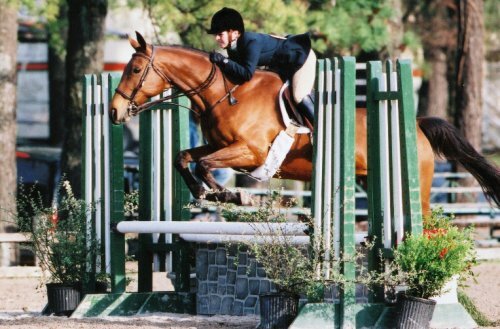 Ex-racer, now trained in jumping.